…even if they do promote Budweiser beer. 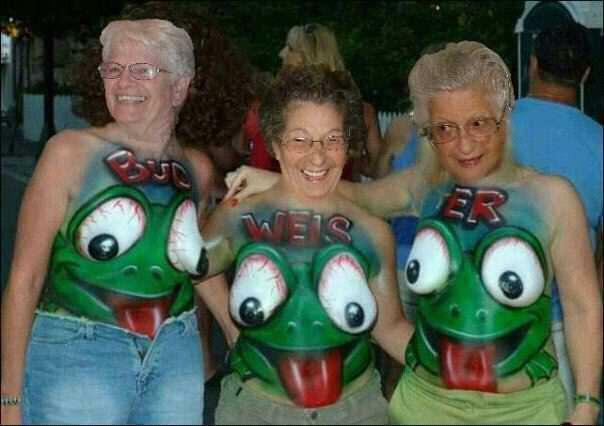 Great body-painting artwork and just look where those frog tongues are going — ooh la wee! This entry was posted in Bizarre But Real, Humor, Weird Photo, WTF? and tagged Body Painting, Costume, Frogs, Halloween, Three Women. Bookmark the permalink.